I have a DVD copy of this movie. Kaya lang it's the unedited version. With theharness and everything. I agree. Hugh is such a hottie. ah! i heard about that! I didn't think about watching the unedited version. sayang kasi ang essence ng paggawa ng movie eh... thanks for visiting ran! i agree with you. i liked hugh jackman since the first time i saw him sa Xmen (or noticed, i guess). he's quite a versatile actor and, yes, a hottie! Um - it's Hugh Jackman not Hugh Grant - but other than that - I loved the movie too! ahahahha! i stand corrected! sorry bout that! yeah! it's hugh jackman! had it edited! lol! He's really a hunk. 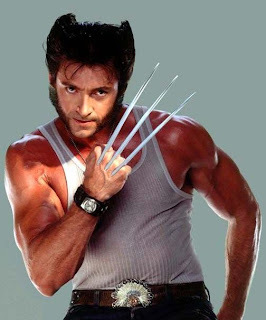 I think he did a good job doing the Wolverine role. Hugh Jackman is sooooooo hot! haha!